Back at the New York International Auto Show earlier this year, Maserati introduced a brand-new special edition trim level called the Ghibli Nerissimo. The Nerissimo is an extremely exclusive special edition, as only 450 of the models were built, and they went on sale back in May. We’re not sure if you’re still able to get one of these Nerissimo models considering it’s now July, but we wanted to cover just how incredible the exclusive model is by giving you a bit of info about it. 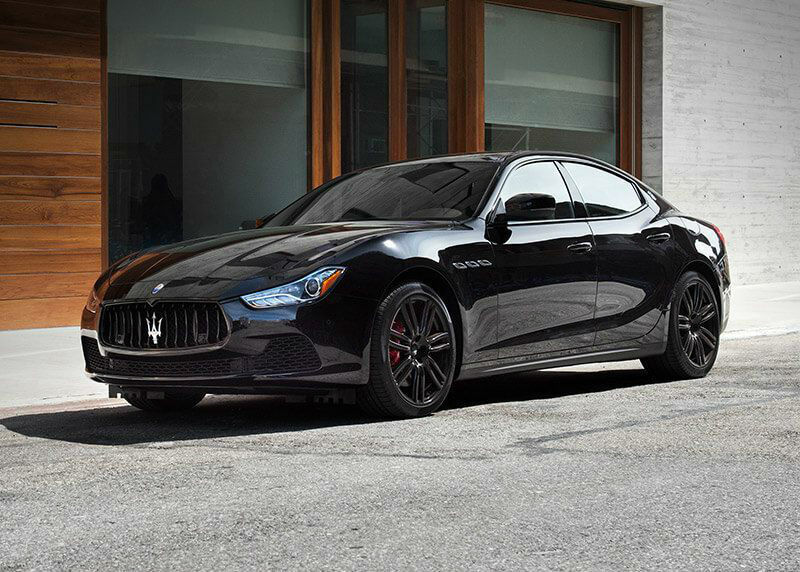 If you’re wondering why they went with the name Nerissimo, which is Italian for “extremely black,” the trim level is essentially a blacked out special edition of the Maserati Ghibli. While it’s available on the Ghibli, Ghibli S and Ghibli S Q4 models, it’s only available in a black exterior. Several other things are blacked out as well, which we’ll cover as we dive into some of the model’s specs & features. In addition to the black exterior paintjob, the Ghibli Nerissimo also includes 20” Urano wheels in a Glossy Black finish, black door handles, window trim and grille features – all of which are normally chrome. As for the interior, it will feature black extended leather with red stitching, paddle shifters, INOX sport pedals, red brake calipers, Dark Mirror interior trim accents, new sport seats and a sport steering wheel. In addition to these great features, the special edition Maserati will also include blind spot assist, front and rear parking sensors and a factory-installed remote starter all standard. Considering the Nerissimo was designed to accentuate the high-performance side of the Ghibli, it delivers 404 horsepower and hits 60 mph in just 4.7 seconds. Feel free to give us a call to inquire about the availability of the Maserati Ghibli Nerissimo, and we’ll do the best we can to figure it out. This entry was posted on Monday, July 17th, 2017 at 8:58 pm	and is filed under Maserati. You can follow any responses to this entry through the RSS 2.0 feed. You can skip to the end and leave a response. Pinging is currently not allowed.